Our favourite candle maker ‘Maison Balzac’ has collaborated with Mathilde Carron of Astier de Villatte to bring this beautiful homewares range to Australia. 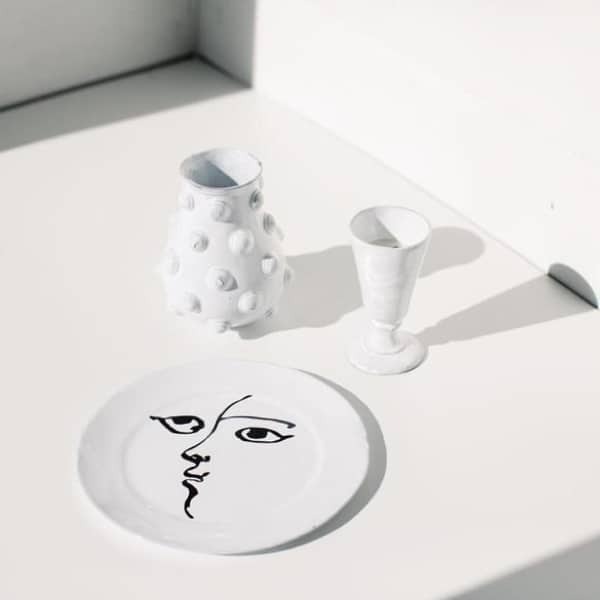 Carron’s poetic plate depicts an intriguing drawing, created by the extraordinary Pierre Carron (father of Mathilde, sculptor and painter, member of the Academie des Beaux Arts in France). 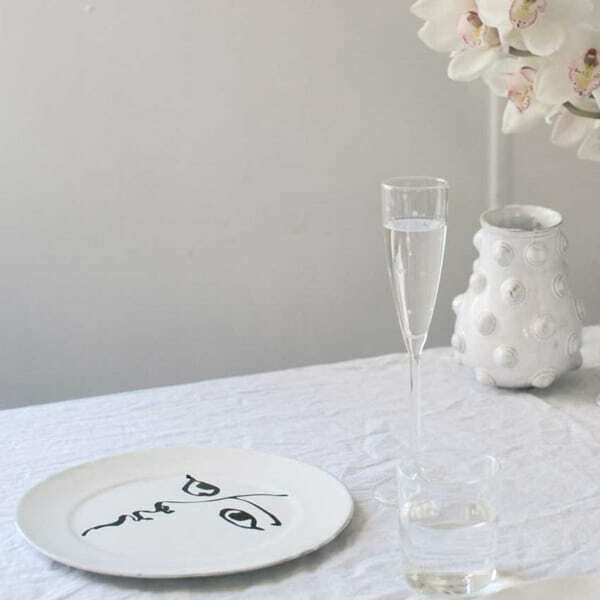 Each plate is drawn and made by hand by Mathilde in her workshop in Montpellier (south of France); every piece varies in size, shade and details and this is what makes it so precious and unique. She uses long lasting, ecological material made of French Terra Cotta and lead free enamel.